Raised beds provide better drainage for plants and a higher fruit yield. Plus, they’re convenient. You don’t have to bend over as much to work the soil. And raised beds keep your yard neat. Select an edging material that is long-lasting so you can grow tomatoes year after year. Chose from all kinds of edging materials. Both Burpee and Gardener's Supply have a wide variety of affordable, lasting raised bed components. More on Burpee raised garden systems . More on Gardener's Supply raised bed components . More on raised beds for tomatoes. 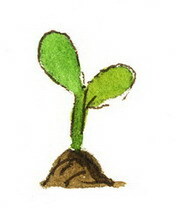 Try these 2 easy steps to calculate the best time to start your seeds where you live. Count back 4-6 weeks from the last frost date for your region to know when to start your tomatoes. Here are some general rules to follow to know when to start your tomato seeds. 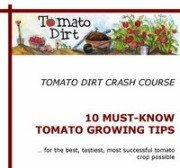 Get more info about when to start your tomato seeds. That’s it for now. See you next month!